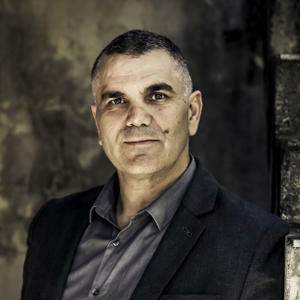 Born in Queensland’s Bundaberg in 1967 as the youngest of ten children to an Italian father and an Aboriginal mother, Dr Chris Sarra is now the head of the Stronger Smarter Institute. He was formerly the principal of Cherbourg State School. He has had an extensive career in education, completing a Diploma of Teaching, a Bachelor of Education, a Master of Education and a PhD in Psychology. His autobiography Good Morning, Mr Sarra was published in 2012 (UQP).